Torrington- Claire F. Reardon died peacefully on Sunday, November 11, 2018 at her home. She was 93 years old and was the widow of Ronald E. Reardon. Claire was born in Torrington on October 21, 1925, daughter of the late William T. and Ellen (Fahey) Flynn. She attended St. Francis of Assisi School and graduated from Torrington High School in 1943. Claire attended the University of Connecticut at Storrs from 1943-1945. Married in 1951, she returned to college while raising her family and received her degree in education from Central Connecticut State University in 1973. Claire worked at the Torrington High School Library, and later followed a different path caring for people through Brooker Memorial and VNA of Connecticut. Claire was the namesake of the water company founded by her father in 1907, which was first known as W. T. Flynn Spring Water and later renamed in the 1920s as the Mount Claire Spring Water Co., still in existence. Claire was an active volunteer in community and church organizations, including the St. Francis Home School Association and Parish Council, Catholic Family Services, the Women’s College Club of Litchfield County, the Warner Theatre, and St. Thomas of Villanova Chapel in Goshen. Claire was a lifelong communicant of St. Francis of Assisi Church. 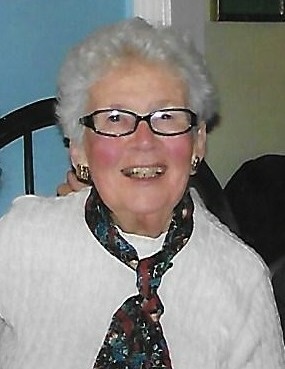 She served as a board member of the State Archdiocesan Connecticut Council of Catholic Women, taught religious education at St. Francis School for many years through 2000 and was a member and past president of the Torrington Woman’s Club G.F.W.C. She was a volunteer reader for the Connecticut Radio Information Systems, which tapes newspaper and magazine articles for the visually impaired. She was the “Lord Mayor” of Torrington on St. Patrick’s Day, March 17, 2004. Claire lived a life of deep devotion to her faith, her family and her church. She had little desire for material things, but rather deeply enjoyed and appreciated the natural world around her. She was independent, self-reliant and quietly elegant. She had tremendous civic pride in Torrington and great love for her country. She enjoyed large family gatherings, small suppers and quiet conversation, and visits from anyone where you were always greeted by her bright smile and shining eyes. If you listened carefully you heard the wry wit she inherited from her father. She loved her travels across the U. S. and in Europe. But the most special place to her was her summer cottage on Tyler Lake in West Goshen where she spent her summers for 83 years, since 1935. You could find her showing grandchildren where to find worms for fishing, having tea on her porch overlooking the lake, reading a newspaper or book in a well situated chair in the sunny part of the yard, shooing away (gently) the bats or bees that occasionally found their way into her cottage, or doing many of the above at the same time. Although not up to canoeing, rowing or swimming in later years, she still tossed her cane and climbed into the motorboat for a tour around the lake on any hot day. She leaves six sons and her daughter: William L. Reardon (Deborah) of Bakerville, Paul F. Reardon (Claudia) of Torrington, Michael J. Reardon (Tina) of Litchfield, her twins Mark D. Reardon and Thomas G. Reardon (Sandra) of Torrington, Mary Ellen D’Amico (Joseph), of Bluffton, South Carolina and Brian J. Reardon (Fiona Bohane) of Goshen. She was predeceased by her son David, who died in July 2017, and by her brother, Francis W. Flynn. Claire also leaves her grandchildren and great-granchildren: Megan Reardon, Patrick Reardon (wife Katie, James, and twins Grayson and Noah), Elizabeth (Libby) Reardon, Kelly Reardon, Claire Reardon, Brigid Reardon, Nathaniel D’Amico, Andrew D’Amico, Allison Reardon, Ellen D’Amico, Kyle Reardon, Shannon Reardon, Anna D’Amico and Rosemary Bohane Reardon. We are all grateful and better for the time we had with her. Funeral services will be held Wednesday, November 14, 2018 at 10:00a.m. 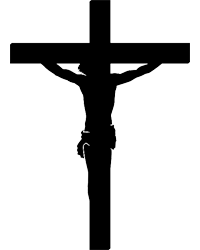 from Gleeson-Ryan Funeral Home, 258 Prospect St., Torrington, to St. Francis of Assisi Church, 160 Main St., Torrington, for a Mass of Christian Burial at 11:00a.m. Burial will follow in New St. Francis Cemetery, Torrington. Friends may call Tuesday, November 13, 2018 from 6:00 to 8:00p.m. at Gleeson-Ryan Funeral Home. Memorial contributions may be made to St. Peter/St. Francis School, 360 Prospect St., Torrington, CT 06790, or to the Warner Theatre, www.warnertheatre.org/donate-now.